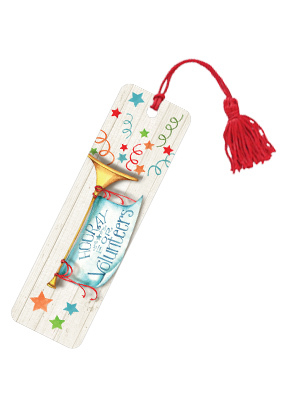 Whether you are celebrating national volunteer week or recognizing a star volunteer for their accomplishments, volunteer bookmarks make a great gift. Choose from a variety of inspiring messages and designs. These inexpensive volunteer gifts are a great way show appreciation for your hard-working volunteers. Give bookmarks to your volunteers. Order today! Fun Idea: Recognize your volunteers year round with festive volunteer birthday cards! JRL02B - Floral Bookmark and Journal Set for Volunteers.